MOPA Vacuum Tube Amplifier & GB4000 Combo Summer Sale Going On Now! Now includes the optimum 3.1-3.3 MHz RF Carrier Frequency Range 100% Money Back Guarantee – Free Shipping to US! "Listen to Anne Marie Engleman"
2016 Update: Now With 3.1 Mhz Carrier Frequency! 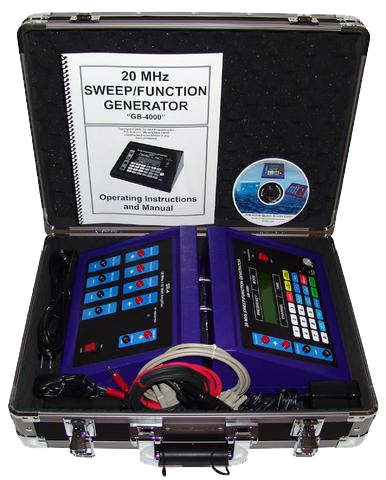 The only Frequency Generator capable of running 8 frequencies simultaneously. Frequency range of 0.01 to 20 million hertz. New! Incorporates a groundbreaking new 3.1 MHz RF (Radio Frequency) carrier wave technology to give massive versatility in sideband frequencies when using squarewave audio frequencies. 9 times more powerful than any audio frequency generator. When comparing the various instruments power output is a very important consideration. This is the reason the GB-4000 uses a carrier frequency so that more power can be output safely. The power output of most frequency generators on the market today that do not use an RF carrier frequency is only about 0.20 of 1 watt. The GB-4000 with the use of an RF carrier is about 2 watts and is over 9 times more powerful than these instruments. With the use of the optional SR-4 amplifier it is over 50 times more powerful. Add to this the ability to drive sidebands with the groundbreaking 3.1 MHz carrier wave and the GB4000 is tough to compete with. 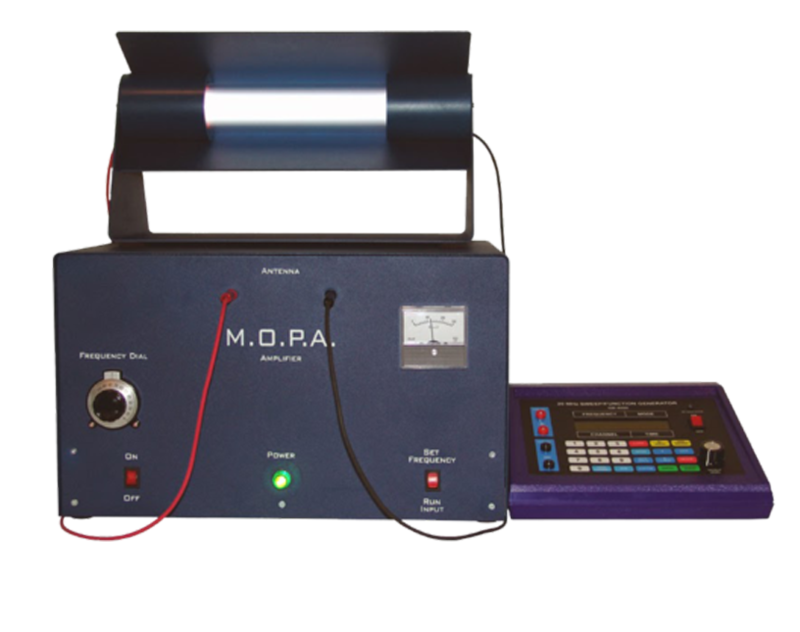 For the best combo check out our MOPA Amplifier for the GB4000 to drive the frequencies through a plasma tube. Why was the GB4000’s RF Carrier changed from 2.4 MHz to 3.1 MHz? Recently the importance of sideband frequencies in historical frequency machines have been discovered and 3.1 MHz has been mathmatically proven to be the ‘Ideal’ carrier frequency for many purposes and for doing very powerful sweeps. Does the GB-4000 output its frequencies digital or analog? Does the GB-4000 use crystal controlled frequencies for high accuracy. Yes it does for the RF carrier frequency. The GB-4000 also goes beyond using crystal-controlled frequencies. It also uses digital frequencies output from a DSP (Digital Signal Processor). How does the GB-4000 frequency Instrument output its frequencies analog when they come from a digital DSP chip? The GB-4000 uses a DAC (Digital to Analog Converter). The Analog vs. Digital Frequency Debate for those wanting to know the facts. The current analog vs. digital scene is wrought with misconceptions and disinformation in the form of marketing hype. Such as, digitally generated frequencies do not vary, which implies that they do not have overtones and undertones. This would only be true if the frequencies remained digital. That is why digital frequencies from DDS (Direct Digital Synthesis) and DSP (Digital Signal Processing) are converted to analog before they are put out of the GB-4000 and all other analog frequency generators. These Digital-to-Analog Converters are called a DAC for short. You can see in the diagram below that a frequency comes out of a DDS or a DSP looking like stairs. The signal then goes through a DAC or Digital-to-Analog Converter.